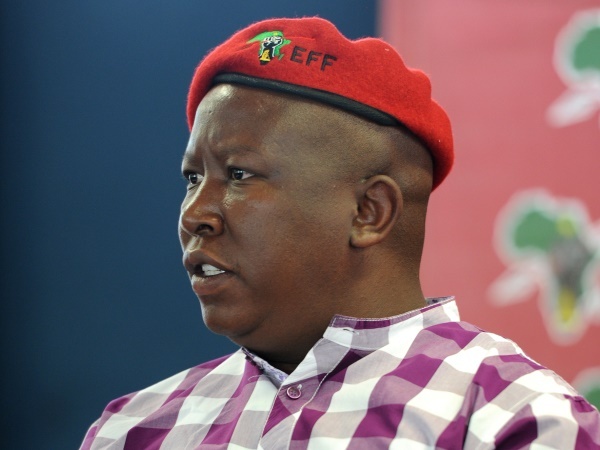 Economic Freedom Fighters (EFF) leader Julius Malema did not assault or point a firearm at a security guard in Limpopo, the party said on Monday. "He [Malema] has been subjected to the courts of public opinion which have already ruled him guilty which is the wish of those who are intimidated by what he represents," said spokesman Mbuyiseni Ndlozi. "The EFF places it on record that the commander in chief [CIC] has not assaulted or pulled a gun on any security guard. Those who cooked this story wished to delegitimise his decisive confrontation against racism that occurred in Tzaneen." He condemned the media reports that Malema had pulled out a firearm and assaulted a security guard in Polokwane. On October 27, Limpopo police said three charges were being investigated against Malema for a scuffle involving a security guard. "Mr Malema is being investigated for the pointing of a firearm, common assault, and malicious damage to property," Colonel Ronel Otto said at the time. Malema allegedly pointed a firearm at a security guard at the Peter Mokaba Stadium in Polokwane during an argument when Malema and his bodyguards wanted to leave. They had been at the venue attending a music festival. "It is alleged Mr Malema and his bodyguards went to a gate which was not used as an exit. An argument ensued with the security guard and Mr Malema allegedly pointed a firearm at the guard." Otto said the guard was allegedly pushed against the gate and the group opened it by force, damaging it. "We are still taking statements from the people involved," she said. AfriForum also opened a case against him for allegedly assaulting a man, Cassie Moller, at a Steers outlet in Tzaneen around 2am on August 6. "The media reports have further claimed that a case has been opened against the CIC and police are investigating the matter. "However, the CIC on the other hand has not received any communication from the police." Ndlozi said the police had ganged up with the media to assassinate the integrity of the EFF leader.